With spacious layouts and bright, fresh design touches like oversized windows, stone bench tops and premium tiling and carpet, the 105 new apartments at Alcyone Hotel Residences were designed for travellers who seek stylish, contemporary accommodation at superb rates without having to sacrifice the little luxuries. All apartments feature full kitchens, comfortable living areas, washer/dryers and walk-in showers. Selected apartments offer beautiful views of the Brisbane River. ​Fully air conditioned apartment featuring natural lighting , stone benchtops, with premium tiling and carpet throughout. Full kitchen including dishwasher. Washing machine, dryer and bathrooms with shower and designer tapware. ​Fully air conditioned apartment featuring study, natural lighting , stone benchtops, with premium tiling and carpet throughout. Full kitchen including coffee machine and dishwasher. Bathrooms with shower and designer tapware. Washing machine and dryer. 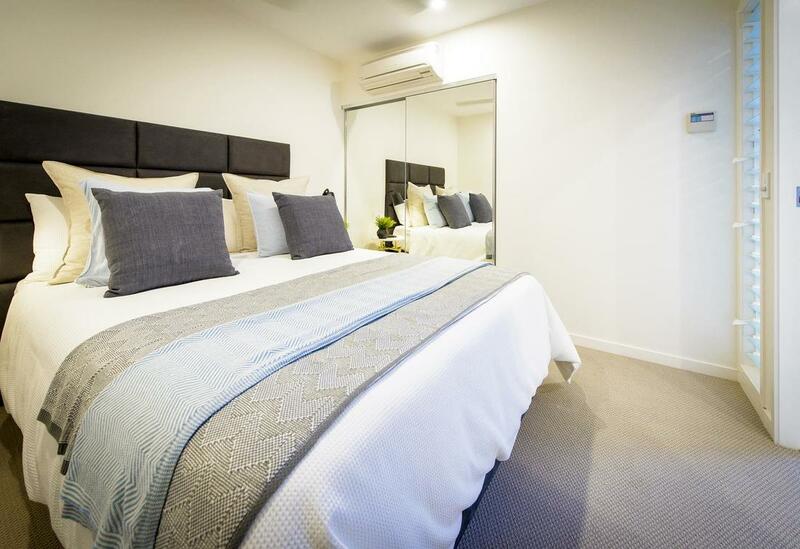 ​Fully air conditioned apartment featuring natural lighting , king bed in the main bedroom and queen bed in the second bedroom , balcony , stone benchtops, with premium tiling and carpet throughout. Full kitchen including dishwasher. Bathrooms with shower and designer tapware. Washing machine and dryer. 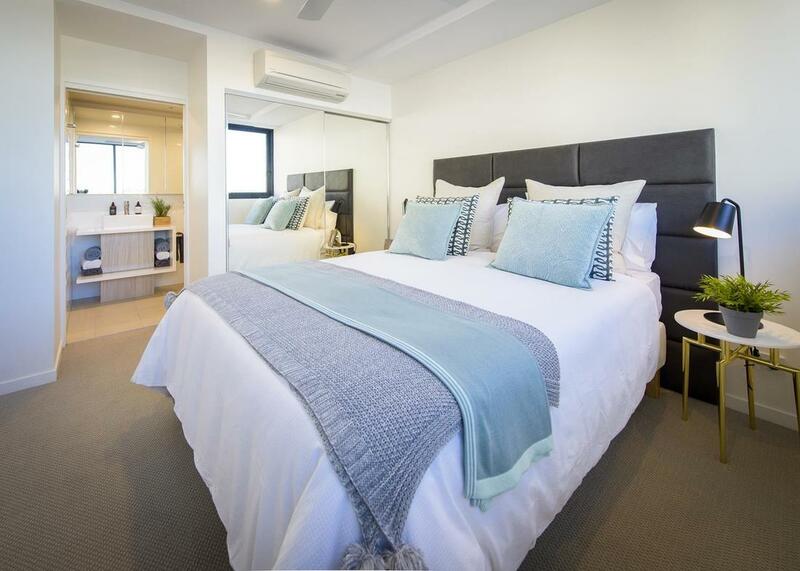 ​Fully air conditioned apartment featuring river views, balcony, king bed in the main bedroom and queen bed in the second bedroom, natural lighting, stone benchtops, with premium tiling and carpet throughout. Full kitchen including dishwasher. Bathrooms with shower and designer tapware. Washing machine and dryer.